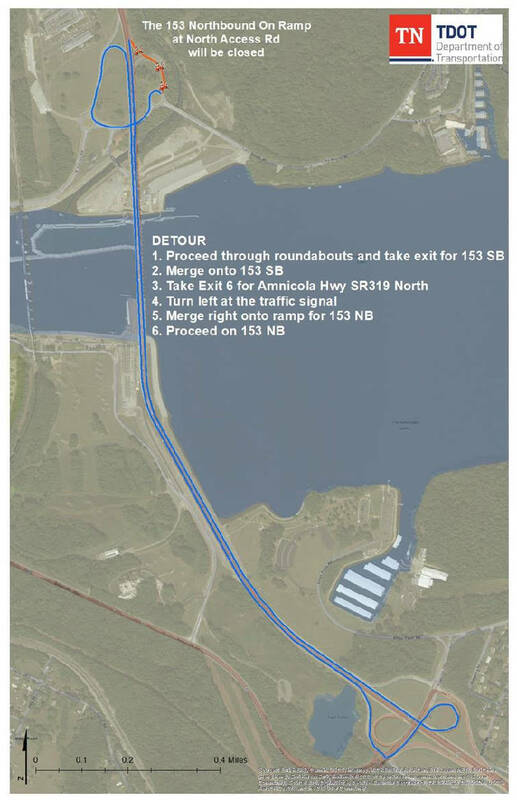 TDOT crews will close the SR-153 northbound on-ramp from North Access Rd. in Chattanooga, Hamilton County on Monday. TDOT crews will close the SR-153 northbound on-ramp from North Access Rd. in Chattanooga, Hamilton County on Monday, March 18, 2019 from 9:00 a.m. to 3:00 p.m. EDT to repair some rough pavement.